The Fox TV pilot based on Lauren Oliver’s young adult novel Delirium, which was passed over by the network and never broadcast, is now returning from the grave and heading to Hulu instead. The TV show tells of a future utopian world where the emotion of love is considered a disease and even given a name called ‘deliria’ and everyone gets vaccinated. The show starred Emma Roberts who plays a girl that falls in love just before she is set to get cured for the disease. The pilot was filmed in 2013 by Fox but the network decided against picking up the series, but now the full first episode can be watched via the web on streaming service Hulu. The return of the show to the web comes thanks to both WIGS and Hulu, who made the episode available. Hulu have announced that Delirium will be made available on June 20th, and be available for 30 days. Although currently it is just a one episode series, Hulu may decide to invest in the concept and turn it back into a full series. You can take a peek at the trailer below, and you even have time to read the book in readiness for the pilot. Free movies are everywhere, and you don’t have to break any laws to get your hands on them, either. Hulu is one site that offers totally free media to anyone. You just navigate to hulu.com and start watching. You’re not violating any copyright laws here. All content is licensed. Other sites to look at include the Internet Movie Database, Crackle, OVGuide, Joost, and The Internet Archive. Free videos are easy to find. The most popular site hosting free videos is, of course, YouTube. Nothing you watch here will get you into trouble later. Google takes responsibility for the content. Some copyright-protected stuff makes its way onto this site, but they are diligent and usually remove it quickly. Vimeo is a more professional site that is home to videos in a variety of categories. Vevo is yet another video site. Unlike many sites, Vevo is strictly for music videos. Sony, Universal, EMI, CBS, and Walt Disney Records all post their media here. Want to listen to free songs? Here’s how you do it legally. Finally, you can probably find what you’re looking for on Google Video or Facebook. Both house tons of media. Want to watch movie trailers? Apple has this one nailed with iTunes. Trailer addict is another place to watch trailers of current movies. Coming Soon is a site where you get movie previews, insider information, and the latest movie gossip. FirstShowing.net, IMDB, Yahoo Movies, Game Trailers, and Turner Classic Movies are all great sites to find movie trailers. It’s hard to beat Hulu for free T.V. Cable companies hate this, but networks love it. Fox hosts its own shows on its website, as does NBC. You can also get free apps for Android and iOS that allow you to watch the major channels, and even some cable offerings like SyFy and the History channel on your mobile device. Joost has a nice variety of programs organized by channel, what’s popular, and recent uploads. 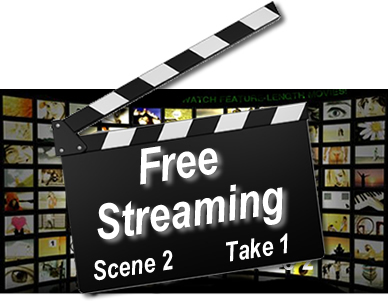 YouTube, CurrentTV, LinkTV and Clicker are all sites that allow you to watch free T.V. shows legally. Looking for free music? Del.icio.us system:filetype:mp3 is a neat trick to find all the mp3 files tagged at del.icio.us. Pandora is probably the most famous site dedicated to free music, but iTunes radio is also in the same space. Yeah, you have to listen to commercials now and then, but the music is free and you can customize channels to your personal preferences. NPR in Concert allows you to listen to full concerts by various artists. If you like Jazz, JazzPromo.com houses hundreds of unique independent jazz musicians. You can download free music, too. If you own an Android or iOS device, look for the free song of the day/month that they offer in their app stores. Amazon and Google, as well as iTunes, all provide free music to promote new artists and albums, so check back frequently, or sign up to receive notifications of promotions they offer to users. A simple browser search can reap many forms of interesting multimedia, but you can take that a step further. Video search engines, like Google Video make it easy to find any video, song, book or other multimedia on the web. Google is the king of search; however, there are many other ways to discover media, like Yahoo! and Bing, for example. Torrent search engines help you find torrent files for download. If you’re a Vuze Bittorrent Client or something similar, just make sure you keep it legal – no downloading that new song you just heard on the radio unless you know all rightsholders have authorized the free download. The same applies to new releases in your local theater. Make certain to read all the TOS of a file sharing website, and check for copyrighted materials. Be smart and comply with the law, so you don’t end up paying a huge fine or worse yet, spending time in jail. It’s just not worth it. Readprint.com, Maybooks.net, and The Literature Network are all great sites to find free books online, all free and legal. Authorama.com also features a nice selection of books. If you own a Kindle or other reading device, you can borrow free books to read via their services or have them delivered through your local library system. Most libraries offer e-books now and the list of offerings keeps growing. The availability of multimedia online is large now, but it will continue to change and grow alongside technology; however, the need to comply with copyright laws will never change, so be sure to check before you download anything, anywhere, so you won’t end up in hot water someday. Julie Brunet researches intellectual property law and the internet. She enjoys blogging about the common ways web users tend to break the law and providing them with the legal routes to the same ends. 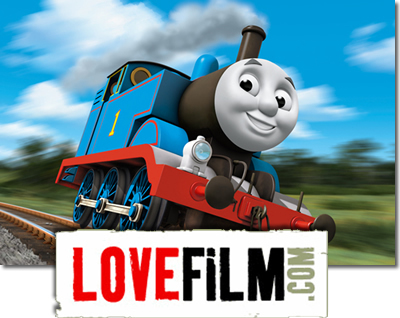 Lovefilm have grabbed the rights to some classic kids TV shows that include Pingu, Thomas & Friends, Bob the Builder, Fireman Sam, Where’s Wally and Chuggington. It’s a well used ploy of streaming subscription sites to appeal to the whole family, and keeping the kids quiet tends to make mum and dad break out the credit card. Lovefilm who are owned by online retail giant Amazon, inked deals with HIT Entertainment, Ludorum, and DreamWorks Classics, and the deal adds to the thousands of hours of kids content that Lovefilm already have in the bag. The content deal includes retained rights to other classics such as He-Man and the Masters of the Universe, Rupert Bear, Noddy, Postman Pat and Casper the Friendly Ghost. The only problem is that some of this content is so old it may well appeal more to nostalgic parents remembering their own childhood, rather than the children of today who’s tastes may have moved on. 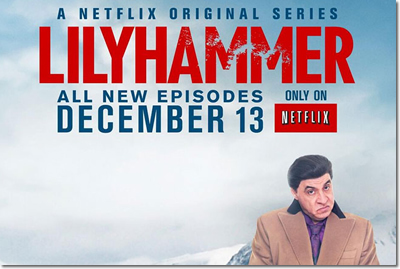 The second season of the Netflix original drama, Lilyhammer is coming to a screen near you on December 13, and wherever you are in the world, you can all binge out on the 8 episode run at the same time. As is the norm with Netflix these days, the whole second season of eight episodes can be streamed on launch day wherever Netflix operates. That currently means the US, Latin America, Canada, the UK, Ireland, Denmark and the Netherlands will all be watching on launch day. The show stars Steven Van Zandt as reformed mobster Frank “The Fixer” Tagliano, relocating to Lillehammer in Norway as part of the witness protection program. 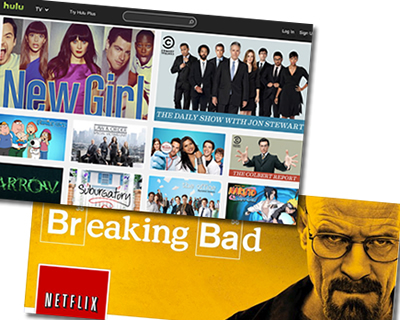 The original show debuted on Netflix early 2012 and was the first of Netflix’s forays into original programming. Since then they have gone from strength to strength including the emmy award winning House of Cards. The second season of Lilyhammer sees Frank Tagliano still in Norway running a nightclub. Unfortunately his former (and very angry) mob associates discover that he is still alive and go after him. American TV network, NBC have released a new Android app offering full TV shows on a catch-up basis for free.The app lets viewers with Android smartphones and tablets stream full episodes of current shows like Ironside and Revolution just after airing. Most shows have several episodes available from the current season for 30 days and the app also offers a NBC TV guide to help you plan your viewing. 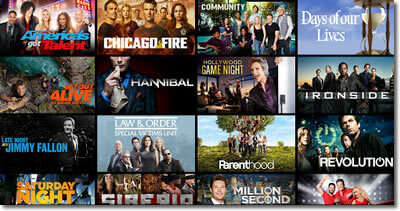 Currently viewers can watch around 20 shows on the NBC app, with each having available the last 4-5 episodes. The user interface is a slick tile based affair designed for touch screen. Android users can already access NBC streaming using the Hulu Plus app, but that costs money on portable devices, so this app is a welcome addition to any mobile TV lovers arsenal. Some content also comes with a closed captioning feature available by tapping the CC button whilst the show streams. The service is ad supported and as with most android apps, it’s a bit hit and miss if it will work on your device. The app is available right now from the Google Play Store, and it’s free. So what are you waiting for?